Error creating bean with name 'centralAuthenticationService' While Configuring CAS for SSO functionality in Tomcat server. I got Error : creating bean with name 'centralAuthenticationService' , While Configuring CAS for SSO functionality. The Spring ContextLoaderListener we wrap threw on contextInitialized. But for our having caught this error, the web application context would not have initialized. Basically, If you are getting this error, reason is, you are missing some jars in your CAS server application's WEB-INF/lib/ directory related to creation of DataSource and ConnectionPooling. Or similar version of Jars as per the CAS server. Now Copy above jars to your CAS server's deployed location (e.g. apache-tomcat-7.0.27/webapps/cas/WEB-INF/lib). Before starting the tomcat, delete the work and log folder inside the tomcat. Test your application and check the logs, you should not get mentioned errors above. It should have been solved. A guide to Online backup and Point-in-time Recovery (PITR) method. Postgress Incremental Backup. PostgresSQL "Point-in-time Recovery" also called as incremental database backup, online backup or may be archive backup. At all times, PostgresSQL server records all users 'data modification transactions like insert, update or delete' and write them into a file called Write-Ahead-Log(WAL) file which is located in the 'pg_xlog/' sub directory of the cluster's data directory. This log exists primarily for crash-safety purposes. If the system crashes, the database can be restored to consistency by "replaying" the log entries made since the last checkpoint. However, the existence of the log makes it possible to use a third strategy for backing up databases: we can combine a file-system-level backup with backup of the WAL files. If recovery is needed, we restore the backup and then replay from the backed-up WAL files to bring the backup up to current time. 1. Create database cluster with name 'data' & initialize it. 2. Modify postgresql.conf to support archive log. 4. Create 'testdb' database with user 'postgres'. 5. Create table 'testPITR1' and populate it. 7. Create table 'testPITR2' and populate it. Step 1: Create database cluster with name 'data' & initialize it. Step 2: Modify postgresql.conf to support archive log. how to copy or archive WAL files that generated from PostgreSQL server. Notes:- Relation between 'pg_xlog/' folder and 'wals/' folder. The 'pg_xlog/' folder contains WAL segment files.Each segment file size is 16MB. '/opt/pgsqlbackup/wals' folder and it recyles the that oldest WAL segment file. 1. This command has be executed in other terminal. Postgresql configuration , system and all others files and folder. contains only the testPITR1 table backup,but not testPITR2 table. which are in 'pg_xlog/' folder of 'data' datacluster which is crashed. Stop the database server assuming that it has been crashed. 'pg_xlog' of 'data' cluster files copied in step 10.3. 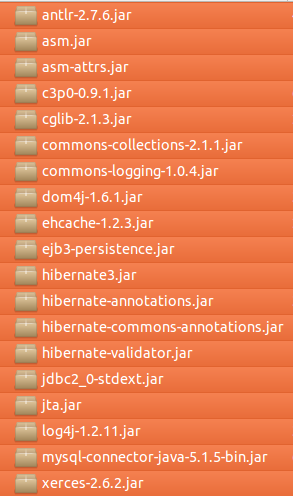 ** Now, no contents in pg_xlog folder except 'archive_status' folder. to 'pg_xlog' folder of 'data' cluster copied in step 10.3. 'cd /opt/pgsqlbackup/wals/' archived folder of WAL files. b) Find out which file is the last file in above folder. - history file is created. b)check the log whether data base is recovered or not. c)connect to database & check db restoration is done properly or not. *** Before proceeding recovery,maintain another copy of 'wals' folder contents & 'pg_xlog' folder contents of crashed 'data.bad.data' cluster. Download PgJDBC. postgresql-9.1-902.jdbc4.jar, the current version at time of writing. Adjust any filenames to match if you need a different version. Now deploy the JDBC driver to JBoss AS 7 by putting it in the deployments folder or using the deploy command in jboss-cli. This will work for most, but not all, purposes. Create the path $JBOSS_HOME/modules/org/postgresql/main. The modules/org part should already exist, make directories for the rest. In $JBOSS_HOME/modules/org/postgresql/main/modules.xml with the following content, changing the resource-root entry for the PgJDBC driver to refer to the driver you wish to use. 6. Now create any required data sources, etc, using postgresql-driver as the driver name.